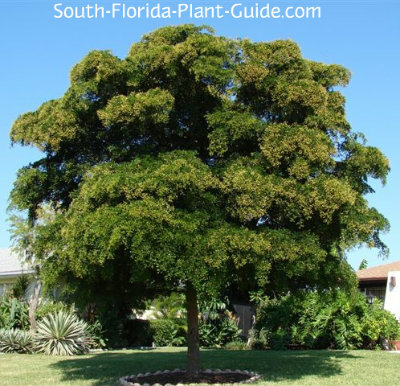 The exquisite Shady Lady black olive tree, with its lush layers of tiny leaves on zigzagged stems, is one of the most beautiful South Florida trees. With the look of a natural bonsai, this tree lends an Oriental garden appeal when it's young. It grows in layered tiers with a distinct space between each set of horizontal branches. Each of these trees is unique and grows differently. 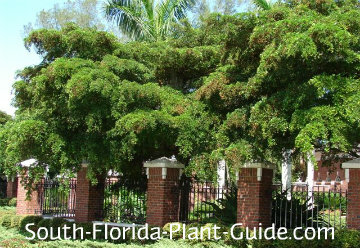 After its Oriental garden youth, a young tree may develop a somewhat funky appearance. The foliage often grows into an irregular oval shape, with tops or shoots going out in odd directions. But all these growth stages will pay off as the tree matures to form a beautiful, well-shaped rounded crown. It's covered with tiny yellow-beige flowers in spring, giving the tree the look of a pale brown sugar frosting. These aren't huge trees so they work very well in a medium size yard. In a large yard the "ladies" look lovely planted in a row. 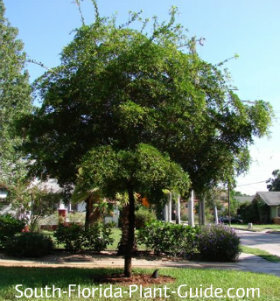 And this tree's salt tolerance makes it an ideal shade tree for coastal properties. There is an older landscape tree usually called just "Black Olive Tree." Shady Lady is the new and improved cultivar and the one to buy. Sorry, no olives - in fact, Shady Lady isn't actually related to real olive-bearing trees. This black olive tree is a moderate grower that can reach 30 feet in height. Evergreen and salt tolerant, it prefers full to part sun and does best in Zone 10. The branches do have small spines that can prick your fingers, so wear gloves when handling. Add top soil and organic peat humus to the hole when you plant. Leave lower branches on a very young tree...this feeds the trunk and makes it stronger. As the tree matures, you can remove lower branches up to about 3 feet off the ground. 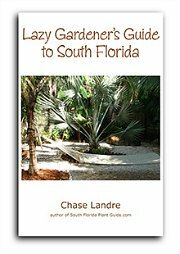 A non-messy tree, Shady Lady's leaves are tiny and won't cause leaf litter - and fallen flowers will blow away in the breeze. Water on a regular basis with enough time in between waterings to let the tree dry out a bit. Fertilize 3 times a year - spring, summer and autumn - with a good quality granular fertilizer. Place at least 15 feet from the house. 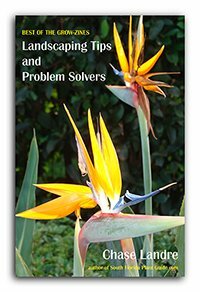 Roots are not a problem so the tree can go as close as 6 feet from a walk or drive - though you'll have to trim up lower branches as the tree matures to allow for foot or vehicle traffic. COMPANION PLANT SUGGESTIONS: Don't plant anything beneath the tree while it's young, and keep turf grass away from the trunk. Once it's mature you could underplant with Aztec grass or peperomia. 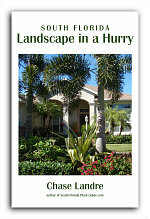 Nearby plants might include hibiscus, dwarf bougainvillea, cocoplum, Burgundy loropetalum and yellow elder.